Saturday Question: What Would You Bring Back? We are SWELTERING here in Sydney. Parramatta has been hitting 40C+ regularly this week. Walking the dogs has become a fiery furnace. LOADS of fragrance though, I’m easily able to grab them cause I’m not leaving the house if possible. Still managed a few catch ups too. Saturday Question: What Is Your Fragrant Suit Of Armour? Once upon a time, long, long ago there was a fashion house named Versace that made excellent fragrances. Run by its flamboyant and fabulous namesake Gianni Versace who was gunned down outside his Miami, Florida home July 1997. Since his demise the Versace fragrances have become cheaper and nastier, rarely a gem will lift its head above the dross. This is not really one of them but a mate of mine was smelling particularly good a while back and I asked what he was wearing, “Versace Eau Fraiche in the blue bottle” was his proud as punch answer. How could I disagree with my nose so I went and ordered a decant. Olivier Cresp is a nose that has created some awesome blockbusters. In my collection I have or had full bottles of Juniper Sling, Kokorico, Angel, Armani Attitude and Kenzo Amour Indian Holi: all so different yet created by the same perfumer. Opening freshly aquatic with a tingling zing of citrus Versace Man Eau Fraiche has all the hallmarks of a summer sports flanker. Bright, artificial, uber clean and lightly toxic smelling. Under this blast of radioactive citrus floats a pretty herbal greenery made piquant by cracked black pepper and a whiff of dry woods. The citrus has now softened considerably and has become quite likable with a creamy hint of pith. As we warm into the heart Versace Man Eau Fraiche becomes quite like many of the eau de cologne style of fragrances. Nothing smells natural but it doesn’t smell bad I’m enjoying wearing it and my mate smelled delicious. More of a household functional scent than fine fragrance, it could very well be related to the scent they use in hospital disinfectant to make the corridors smell a little brighter and more friendly. It smells clean and invigorating and I can see why so many men wear it. Also over the scent of a lightly sweaty, healthy man it’s very nice. I’m surprised that juniper berries aren’t included in the notes but I suppose they covered it with cedar. I also feel that it’s full of a couple of notes that are so ubiquitous that they should jump out at me as what they are, sadly they dont. Versace Man Eau Fraiche remains pretty linear with little warming through the base on me, projection and longevity are good but it’s the sillage that will have people looking after you with interest. I would love to smell this on one of my girlfriends to see how it lives on the ladies, probably even more lovely. Do your friends ever smell freaking amazing in stuff you wouldn’t use to clean your driveway? N.B. 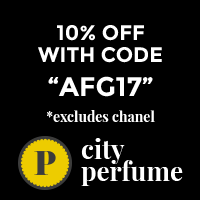 If you hit the My Perfume Samples link and shop I get a kickback. YAY!!! Out celebrating with the crew! It’s a great day to turn 47 and enjoying it with my mates. It’s also a good time to think about the many who didn’t last this long, thanks all for looking out for me in the whatever happens next. For my birthday please close your eyes and think of three things in your life that you like or love. As simple as stationary or complex as partner.DO IT PLEASE. My gift to you is three things to be grateful for. HOW LUCKY ARE YOU? Thanks for being my fragrant family. Each and every one of you has made this journey special so far, and it’s only just begun.